Sometimes you just have to dance...interpretively of course. Years ago, while teaching the topic of mitosis to my 9th grade students, I tried every possible trick to get them to remember PMAT and all that the phases entail. Sadly it took me making an absolute fool out of myself to get the concepts to stick. 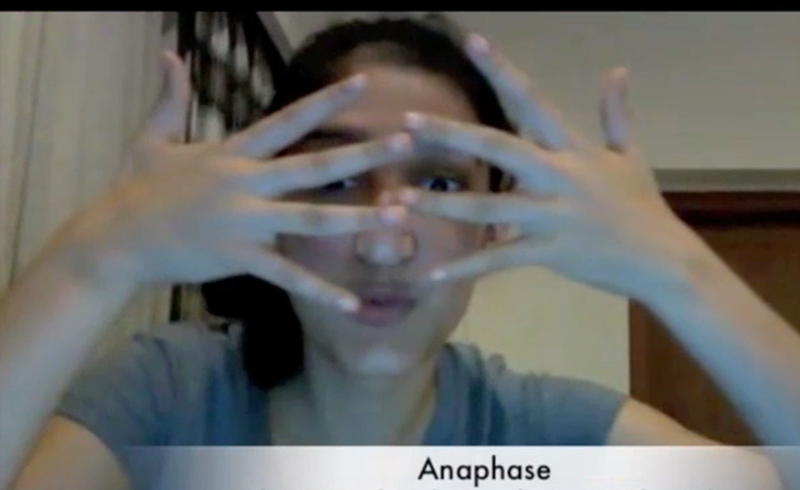 Since then, the first thing I teach my students is the "Mitosis Dance". It is so catchy that as I transition from Interphase to Prophase I usually find that the entire class has joined in while peeking out at them through my fingers. Initially this was only intended for my younger students, but my 18 year old seniors eat it up and man is it funny. I should get something out of my humiliation after all. In fact it works so well, I have even heard tales of kids catching other kids doing the dance in their seats during IB exams in May. The dance was such a big hit my first year at ASB, I decided to amp it up a bit. This year, after teaching the students the dance, I threw out a challenge on our private Facebook group. "So you think you can dance?" They were given two days to post a video before the beginning of our next class showing off their moves as well as a little mitosis. Tomorrow, I will take all of the submissions and have one of my other classes vote on the best "dance". I might have even suggested a little Harlem Shake adaptation to mix it up a bit. Wouldn't it be great if I could retire my own moves and showcase my students to future generations instead? Here is an example from last year. This was not the best video by a long shot, but that song was stuck in my head all day yesterday, so her punishment is that she goes public with her mediocre video. See if you can pick out all of her errors, or just wait for tomorrow's smack down! Here's to hoping that they outdo themselves this year so that I have some teaching material for years to come! I will post the winning submission along with my favorite meiosis activity after judgement day, so stay tuned!